CHARLOTTE, N.C. -- Duke Energy is empowering students, educators and the workforce of the future by investing $2.5 million in 67 education and training initiatives across North Carolina. 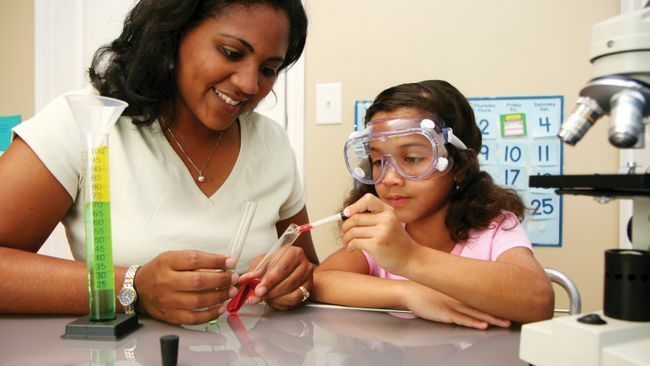 The 2018 grants, from the Duke Energy Foundation, will enhance educational programs focused on science, technology, engineering and math (STEM), K-3 early childhood literacy and workforce development. "Building a brighter future begins with providing students with the best education and opportunities for success," said David Fountain, Duke Energy's North Carolina president. "Our investments will strengthen and expand access to high-impact programs that help develop a more diverse, highly skilled workforce." Classroom Central – $18,000 to create a dedicated STEM section in the organization's Free Store that enables teachers to bring learning experiences directly to students. "Duke Energy and Piedmont Natural Gas has been one of Classroom Central's most committed corporate partners since we opened in 2002. In addition to donating truckloads of school supplies each year for the students and teachers we serve, they funded the launch of a new STEM section in our Free Store to provide curriculum and materials for 21st-century learning," said Karen Calder, executive director of Classroom Central. "We are grateful to the employees of Duke Energy and Piedmont Natural Gas who generously contribute hundreds of volunteer hours each year, allowing us to offer supplies to 127,000 students across six school districts in North Carolina and South Carolina." East Durham Children's Initiative – $20,000 to provide a five-week, intensive summer learning program for 60 East Durham students in grades K-2 who are performing in the lowest quartile in reading and math. "Duke Energy continues to be an important partner in EDCI's work to reduce summer learning loss among children. Kids attending EDCI BELL Summer Camp this year will receive high-quality instruction in reading and math and learn about careers in different STEM fields," said David Reese, CEO of EDCI. "In fact, Duke Energy's support has inspired us to host an Energy Week at camp this year, where students will learn about different energy concepts from Duke Energy employees." FIRST North Carolina – $90,000 to provide STEM opportunities for students in rural and low-income communities through its Power Up STEM program. "Duke Energy is truly a leader in ensuring that the next generation of engineers, computer scientists and STEM leaders has access to learning opportunities that provide relevance, experience and fun, all at the same time," said Marie Hopper, president of FIRST North Carolina. "By providing the seed money to start high school robotics teams in communities that have been traditionally on the sidelines, Duke Energy helps engage students in hands-on, mentor-based robotics programs that are so much more than just about robots. Students are learning teamwork, collaboration and communication skills that will help Duke Energy and other companies fill their pipeline of future employees." Forsyth Technical Community College Foundation – $95,844 to support the Electrical Lineman Training Institute by replacing worn equipment and connecting graduates with potential employers across the region and beyond. "The strategic partnership between Duke Energy and Forsyth Tech for the education of the next generation of electrical lineworkers is an excellent example of business-college collaboration for workforce development," said Dr. Gary Green, president of Forsyth Technical Community College. "Because of Duke Energy's generous support, we are providing career opportunities for young people to earn excellent wages and benefits." Here is a complete list of the 67 grant recipients and summaries.